Now that Halloween is over, the holiday shopping season has officially begun. The holidays are a great time for businesses to amp up their digital marketing efforts without spending huge amounts of money. In 2013 online shopping grew 15% to $186 billion, seven times the growth rate of retail spending. This year those numbers are expected to keep climbing. If your customers are moving online, so should you! 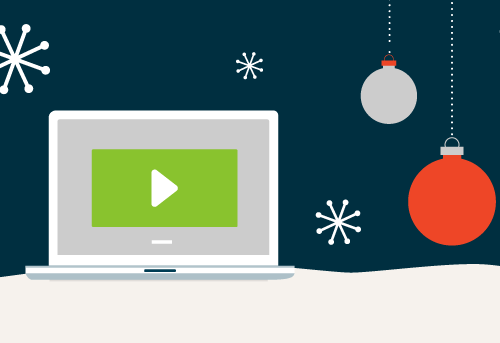 These holiday marketing tips will make sure you’re ready this holiday season! Plan Ahead – Newsflash: 1/3 of people are already doing their holiday shopping. This means, if you haven’t done so already, it’s time to have your digital marketing campaigns for the holidays ready to go. Know that events like Black Friday and Cyber Monday are coming and have a gameplan for them ahead of time. Do any last minute sprucing up of your website now and bunker down for this holiday season craziness. Reach New Customers – Digital marketing is an amazing way to reach potential new customers. But you have to make it easy for them to find you too. Make sure you have all your online platforms integrated so that online users can easily use your website, scroll your Twitter feed or watch your Youtube videos. Don’t forget about your current customers because knowing them can help you to get to know your future audience. Stick with content that worked in the past if you’re after the same demographic. What’s Trending – Just like every season has new fashion trends, holiday shopping also sees new fads every year. This year instead of midnight snacking people are picking up a midnightshopping habit. Shopping never sleeps so make your digital marketing campaign also always going. Another trend this year is the move to mobile devices. Shoppers are using their phones and tablets to make purchases and keep them informed for holiday shopping. Get Noticed – More and more businesses are seeing the advantages of digital marketing, so it’s important to stand out from your competition. A great way to do this is creating digital campaigns that are unique to your business and tell your story. Videos are becoming a huge part of digital marketing and are a great way to interact with your audience and get noticed. Check Yourself – With free resources like Google Analytics there’s no excuse to not be checking in on what’s working for your campaign. These programs allow you to track activity across all social media platforms to see information like what links users clicked on and how much time they spent on a page. By checking what’s working you can also see what’s not working and shift your campaign to get the best results.